California actually has two of the conference’s top five shot-blockers in Kingsley Okoroh and Marcus Lee. The Bears’ frontcourt tandem holds block rates of 9.9 percent (33rd nationally) and 7.5 percent, respectively. These are impressive individual numbers. But as noted at the top of this piece, it’s just one of many measures of rim-protection. While Cal clearly has two great shot-blockers on the roster, I’d be remiss in failing to mention that it also allows opponents to shoot 66 percent at the rim. For greater context on that metric, there are 319 other teams in Division I basketball that allow a lower conversion rate at the rim. As a collective, Cal seems to make shots at the rim relatively easier. Conversely, Oregon State leads the conference in field goal defense at the rim. 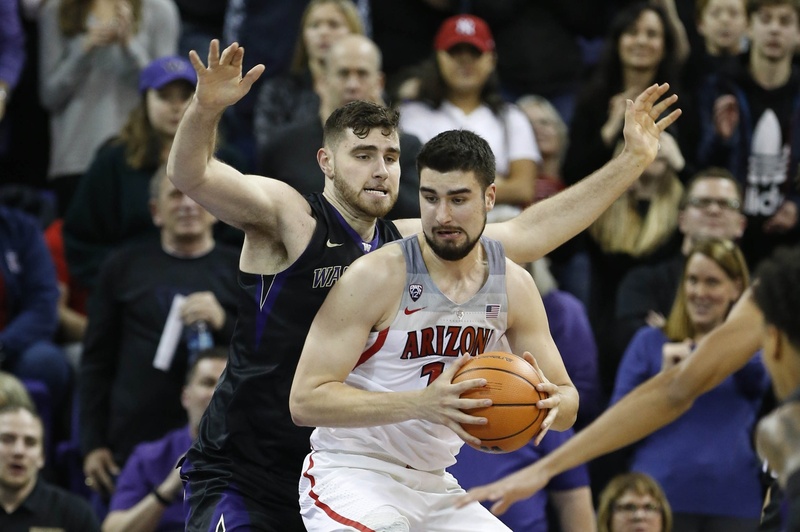 Teams are connecting on 53 percent of their rim attempts against the Beavers, the 23rd-worst rate in college basketball. Drew Eubanks, of note, has the fifth-highest block rate in the conference, but collectively, the Beavers rank sixth in conference block rate (Cal ranks second and Oregon seventh, despite Wooten’s propensity). A shot at the rim in Corvallis would seem to be a touch more difficult. There’s also, of course, a team’s propensity to allow shots at the rim. By that measure, Cal actually leads the conference. Just 30 percent of shot attempts against the Bears come from the easiest distance. Conversely, Oregon State allows the highest percentage of shots there (40%). In considering these two defenses, Cal is allowing fewer shots at the rim but presumably better looks. Meanwhile, Oregon State allows more looks but is perhaps better prepared to challenge those attempts. And then, to make things even more complicated if we’re considering rim-protection a critical part of team defense, Washington actually allows the highest conversion rate at the rim. As the table above shows, there are good shot-blockers, teams that limit attempts at the rim, and teams that make shooting at the rim uncomfortable. This entry was posted on Wednesday, February 7th, 2018 at 4:15 pm by Adam Butler	and is filed under microsites, pac 12. Tagged: arizona, california, rim-protection, washington. You can follow any responses to this entry through the RSS 2.0 feed. You can leave a response, or trackback from your own site.